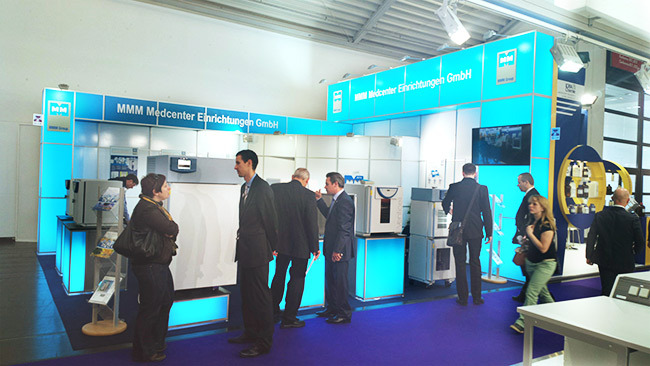 We have brought all the available news of thermal engineering, including CLIMACELL EVO and completely new VACUCELL EVO to the sunlit trade fair complex Neue Messe in Munich on the first week of April. Regardless the beautiful weather, the visit rates were really high. Traditionally, we welcomed our European representatives from Rumania, Finland, Denmark, England, the Netherlands, the Baltic countries, Switzerland, as well as the non-European representatives of Brasilia, Columbia, Thailand, United Arab Emirates, Mexico, etc. We were also surprised by high numbers of direct customers from Germany. We proved the great potential of the new EVO line and we also informed the market about the details of the new VACUCELL EVO for the first time. Our representatives confirmed high level of technical quality of our thermal engineering, which is a basic condition of competitiveness of our products in the global market. Generally, it is possible to conclude that European markets are stable and so are the non-European markets, but some of they may positively surprise us by an increase of turnover.